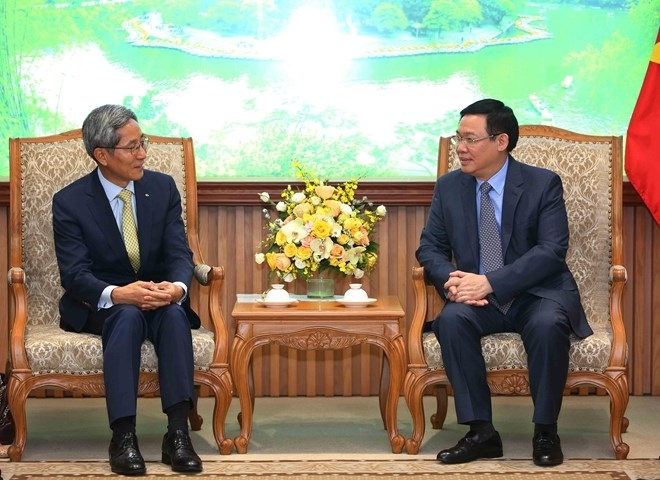 Deputy Prime Minister Vuong Dinh Hue received the Chairman and CEO of the Republic of Korea’s Kookmin (KB) Financial Group, Yoon Jong-kyoo, in Hanoi on September 7. KB is a major RoK group with more than 1,130 domestic branches and four overseas branches, serving over 30 million clients. The KB executive thanked the Government of Vietnam for supporting his firm to operate effectively, affirming that the Vietnamese market still holds much development potential and KB wants to expand cooperation in the financial-banking sector here. With the help of local agencies, the KB group purchased the Maritime securities company and renamed it KB Securities Vietnam JSC. Aside from the Kookmin Bank branch in Ho Chi Minh City, it is also finalising procedures for opening another branch in Hanoi. KB will spend more than US$110 million to expand its activities in the country in the coming time, he noted. For his part, Deputy PM Hue said the HCM City branch of the Kookmin Bank has operated effectively and practically contributed to economic ties between Vietnam and the RoK, as well as the development of the local financial-banking sector. 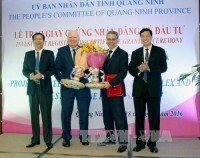 There is still great potential for bank’s business in Vietnam, he said, voicing his belief that the KB group will develop more strongly, thus benefiting both sides. Hue added the Vietnamese Government always supports and creates optimal conditions for both domestic and foreign investors, including those from the RoK. He noted that the Government also pays attention to increasing the scale of the financial market, particularly in the context of the Fourth Industrial Revolution. In the time ahead, it will push ahead with the equitisation of and divestment from State-owned enterprises while considering the issuance of some derivative products in the stock market. It also plans to review and restructure credit companies and non-bank financial and credit institutions. Welcoming the KB group’s expansion of investment in the financial-banking sector, the Deputy PM said Prime Minister Nguyen Xuan Phuc recently gave the green light to the State Bank of Vietnam to license the Kookmin Bank’s opening of the Hanoi branch. The Deputy PM also appreciated the Korean group’s activities to support low-income families and poor children and promote the teaching of the Korean language in the country.